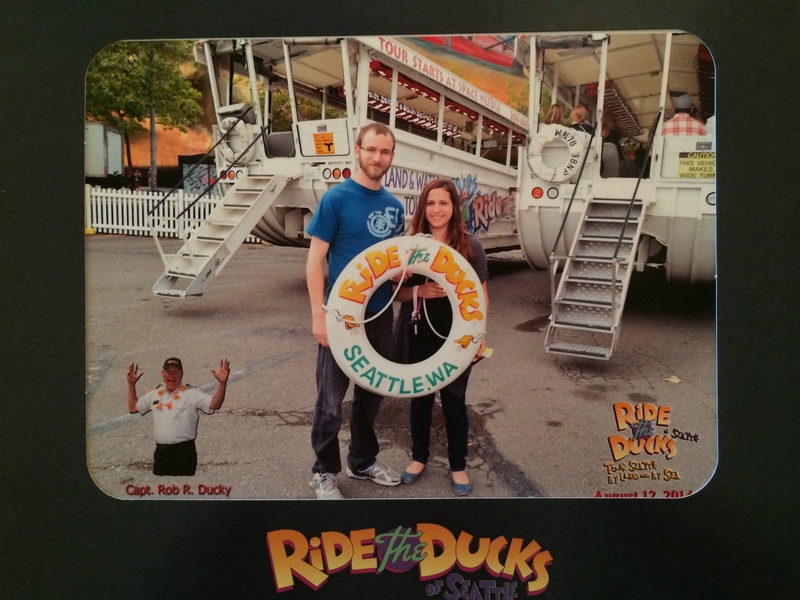 Jason and I recently enjoyed our last date on a Ride the Ducks tour in Seattle. It was not what I was expecting but it was still a lot of fun! This was our first time ever Riding the Ducks. Seriously, we were pretty stoked to go on this date. And I’m sure I can speak for us both that we had a great time. If you don’t know what I’m talking about here’s a quick rundown: You get on a boat that is also a vehicle, also known as “the duck”. It seats roughly 30-ish people (doing this off the top of my head). 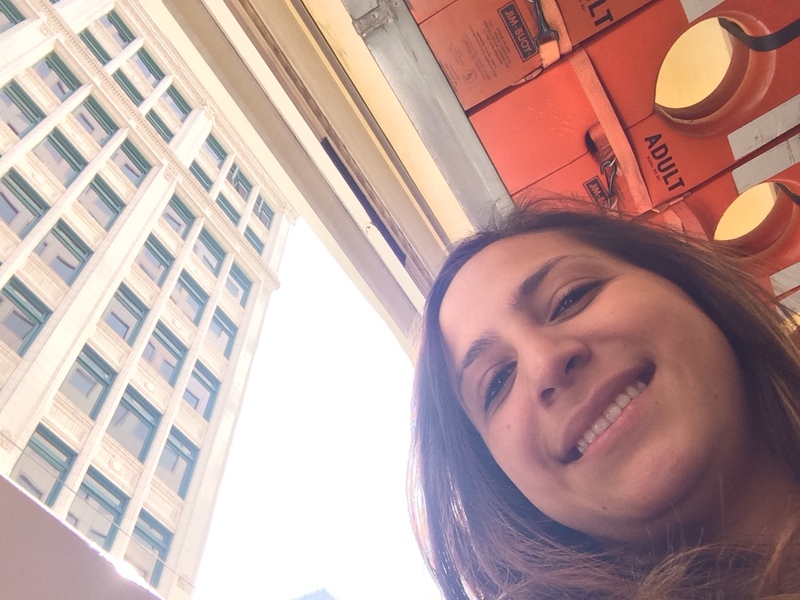 You get a tour guide that is super hyper/friendly (which makes the tour very enjoyable). 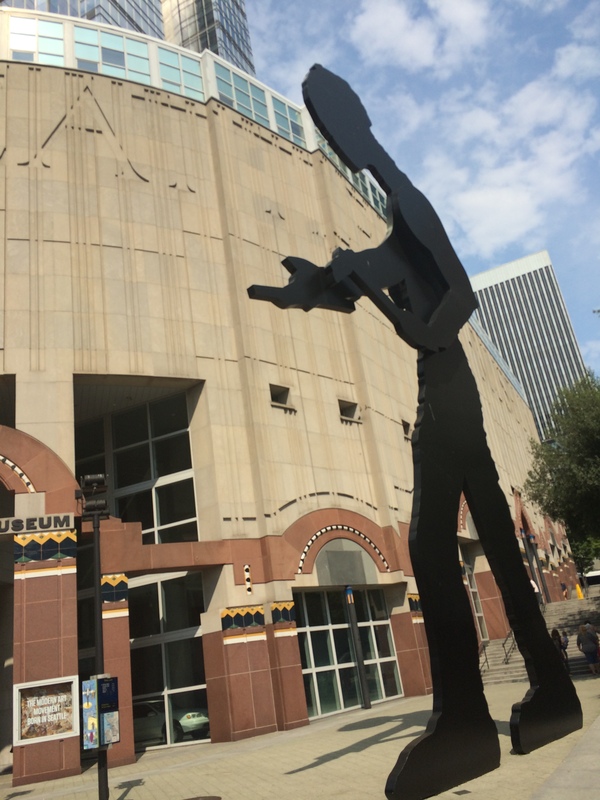 You will learn a lot of fun facts about Seattle that you may or may not have already known. 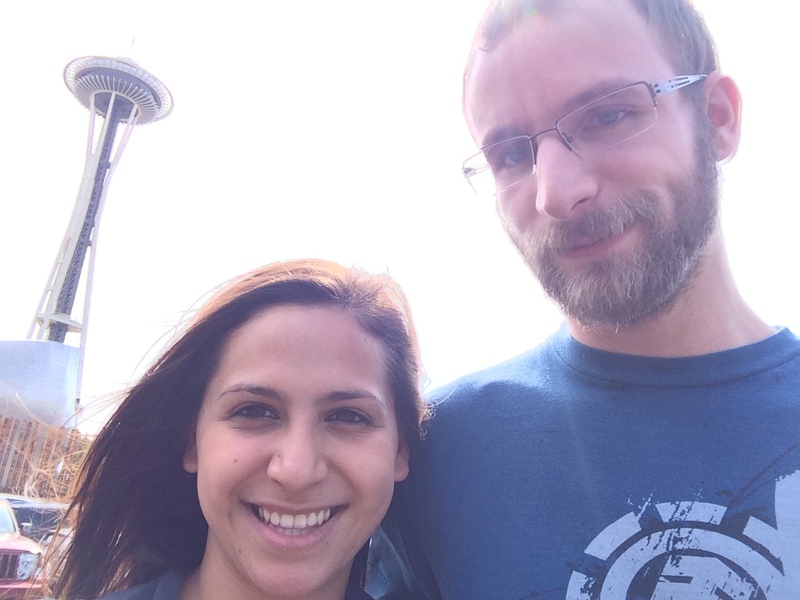 You drive around downtown Seattle, starting at the base of the Space Needle, and then you eventually make your way around Seattle and into Lake Union. Yes, that’s right, you get in the water while on the same “duck” (something I was not aware of, I had assumed we do either land or water tour, not two in one). 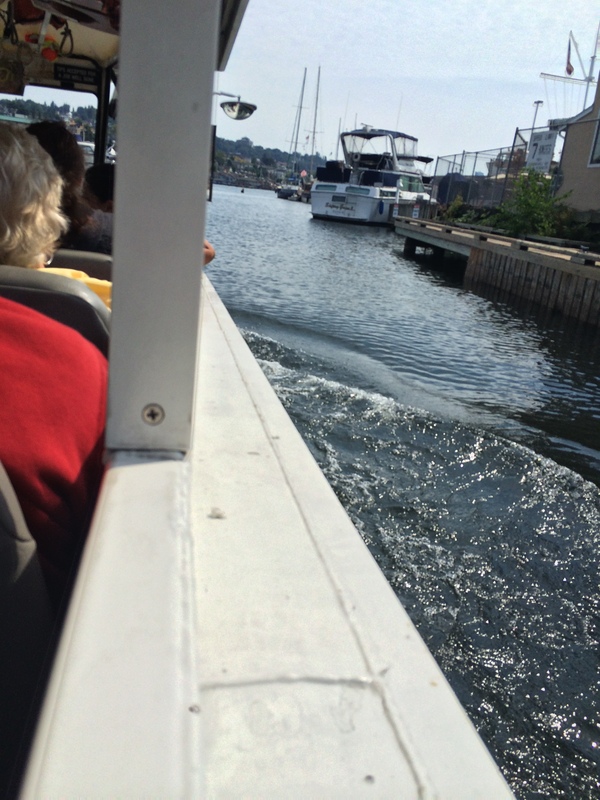 As you tour Lake Union you learn even more about Seattle and it’s colorful history. 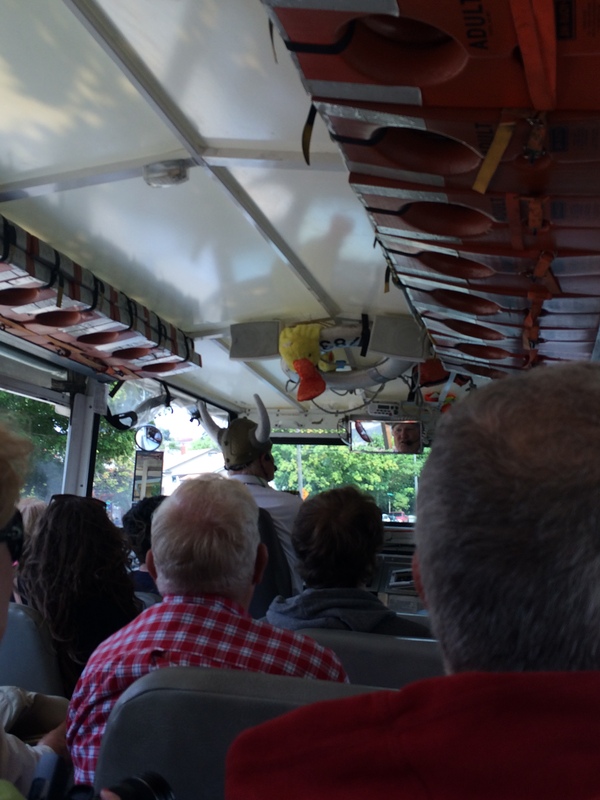 As you go about your experience on the duck, you also get to listen to some cleverly chosen music that you get to interact with throughout the entire ride. Then finally you return to your starting point in the heart of Seattle, and upon exiting your “duck” you are then offered a package of photos (that were taken right before stepping into your duck) and you can take the opportunity to tip your your guide if you felt they did a great job and you had a great time. Oh and yes, I bought the photo package lol. 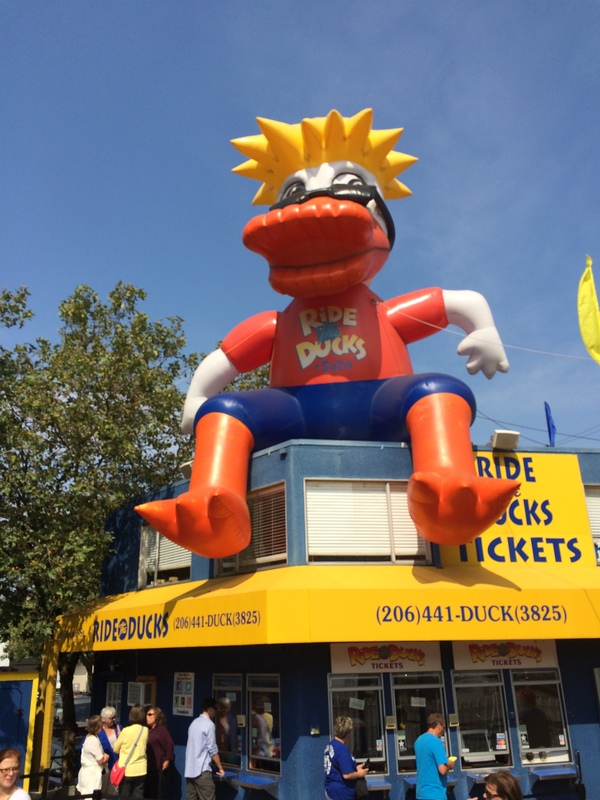 Now as for our experience on the duck. We had a fun and outgoing older gentleman that goes by the name of “Capt. Rob R. Ducky”. His personality is definitely outgoing. Along with the music that was picked out to play during the tour (mind you, the music is played at certain intervals to allow him to speak clearly about the history of Seattle), he also wore a variety of hats! Not too sure if all Capt.’s wear hats during their tours, but this one did, and it was funny. I definitely laughed a bunch and smiled just about the entire time. Now here’s the part that was not what I expected but still turned out okay for us. Jason and I have grown up in the suburbs of Seattle, and so during our times in Seattle we have seen the ducks pass by numerous times. 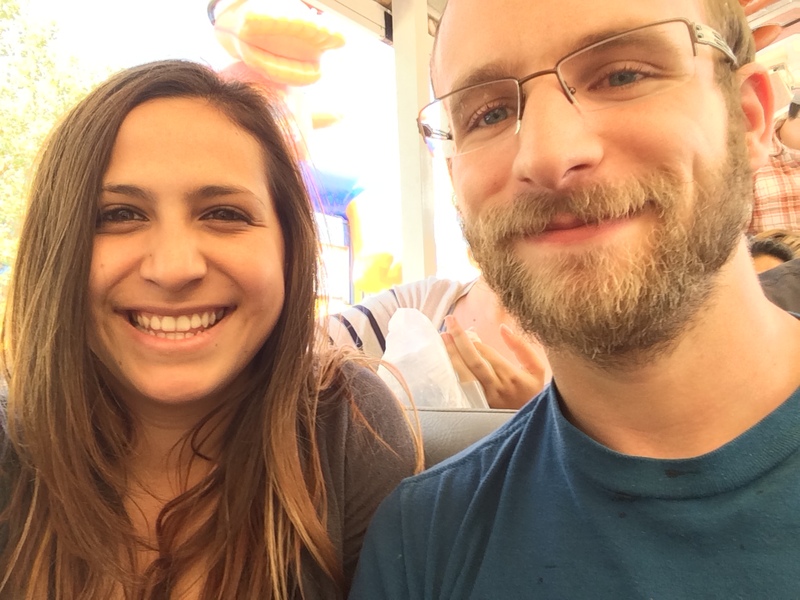 Every time either of us had seen a duck drive by, we had always seen the people on the duck having a blast, cheering, blasting music, and see all of the people aboard waving at us- complete strangers just smiling and waving as they passed by. Pretty neat, and it just always seemed exciting! Well that has to be a two way street. The captain can only be so enthusiastic. No comedian can get away with telling hilarious jokes and feeling like they rocked a show without a laughing audience. As funny as our captain was, the rest of the people aboard didn’t react as loud and as outgoing as I had hoped for. Throw me in a rowdy crowd and I will make noise, but I happened to be on a duck where more than half of the attendees were there to celebrate an 86 year old mans birthday, and so we got stuck with a few old people giggling quietly among themselves. Not what I was hoping for, but our captain was still fun and funny enough that I still enjoyed my tour very much. Sitting behind me was a German woman who had just landed to Seattle and Ride the Ducks was her first stop in touring Seattle. Boy do I feel sorry for her. She sat behind me on a day that I happened to wear my hair down. I’m sure my hair hit her face a few times (sorry lady!). I’m sure I wouldn’t mind trying this date again. 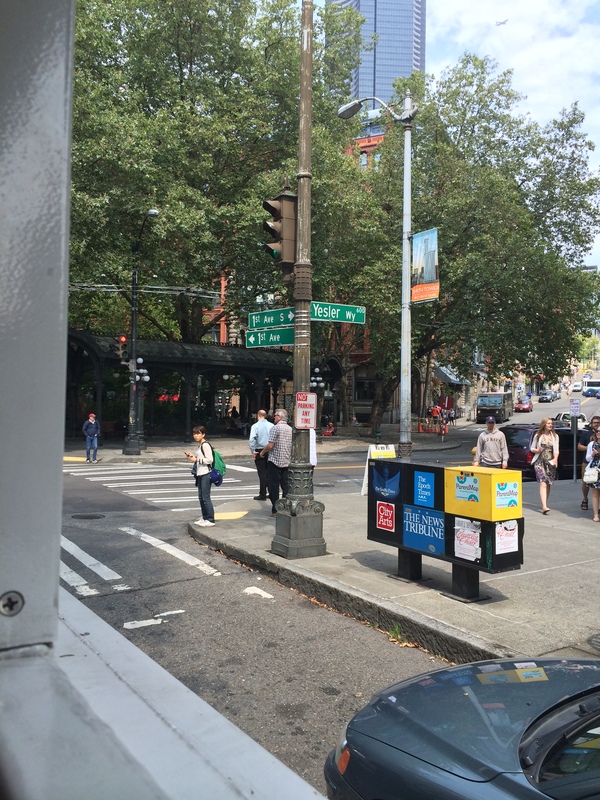 Along the tour I finally discovered where the Underground Tour of Seattle begins! I’ve been looking for it for years! Excited to try that sometime soon!